I’ve been dying, actually. 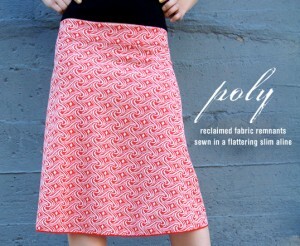 I came across the wonderful OrangyPorangy site ages ago and put her poly skirt on my list of MUST BUYS when I find the right one. Her poly skirts are just too awesome for words and let’s admit it kids, they TOTALLY ROCK. It is the exact style I’m looking for–just toss on the skirt with a black t-shirt and you are good to go. Who doesn’t love that? That what a working mom style should be all about–stylish and easy. 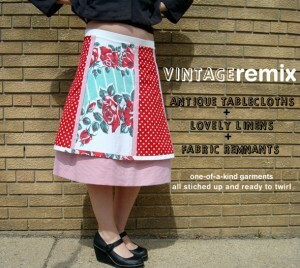 And get a load of this new line of uber cuteness: Remix Vintage skirts made out of vintge tablecloths! It’s like she KNOWS ME and my complete obsession with vintage tablecloths. She even has some that have…ROOSTERS ON THEM. Well played, Natalie, well played. 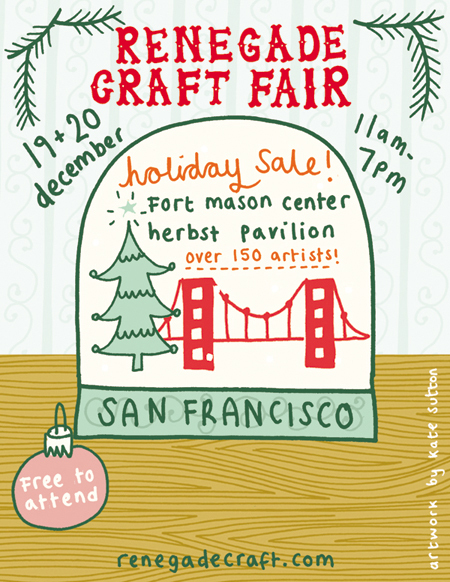 OrangyPorangy is the mastermind of a wonderfully talented and crafty lass name Natalie who was supposed to come to the SF Renegade Craft Fair where I was going to worship at the OrangyPorangy alter, but alas bad headaches kept the lovely Natalie away. But to quote Morrissey, “the more you ignore me the closer I get.” Yes, my obsession with the site is that strong! I’d been lurking for ages until I found THE ONE. Afterall her pieces are pretty much one of a kind. Perhaps a fashion show will be the next post!